Stepping up your SEO efforts increases your chance of coming up in search engines when people take to the internet to plan their vacations. If people search “Vacation Rentals in [your location]” and you don’t come up on the first page of results, it may be time to start optimizing your website with these smart marketing techniques. Search engines like Yahoo and Google are super powerful tools for people searching the internet and do a great job at discovering relevant content for these searches. And even though these search engines are really smart, sometimes they need reminders of what makes your content better than everyone else’s on the internet. What does SEO mean for vacation rental websites? Let’s get this out of the way: SEO is not for everybody! At least, it’s not the right move if you are just starting your website, short on time, or working on a budget. Ranking doesn’t happen over night. BUT, we know a lot of vacation rental owners and managers who combine SEO with other marketing techniques and have a lot of success. When consumers are ready to make a purchase online, whether it’s renting a cabin in Yellowstone or buying a pair of green tennis shoes, they make specific searches. People looking for a vacation rental have other descriptive words in their search bar. It’s smart to optimize your website for these kinds of consumers. This is called SEO. Search Engine Optimization (SEO) and Search Engine Marketing (SEM) are the methods of powering your vacation rental website and expanding your reach in a competitive market space. 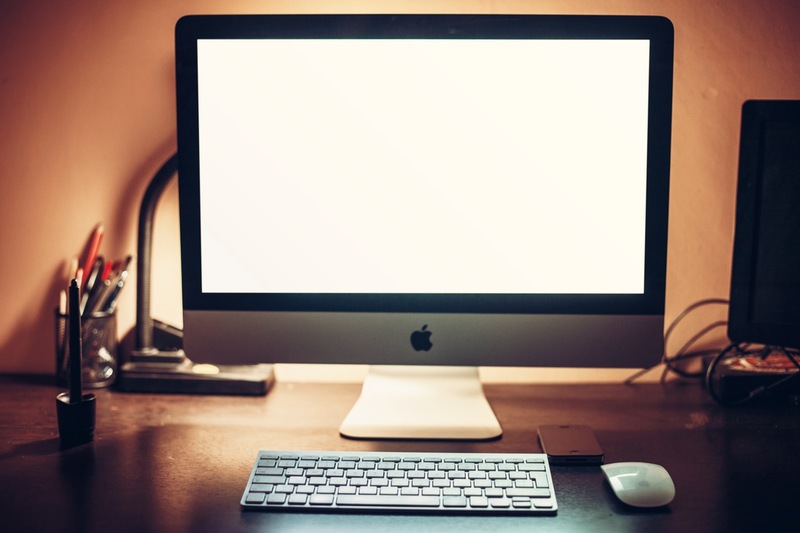 You can optimize each page of your vacation rental website with OneRooftop’s software. There is a vocabulary you must have about this stuff in order to improve your search ranking. Let’s get to know it. Meta titles appear as the blue text in a snippet. The title you choose should quickly summarize the page you’re bringing guests to. The content of the title tag is used by the search engines as one of the main factors in determining what your page is all about. It is like a trailer for a movie. 70 characters is the maximum number of characters most search engines will display. Your meta title should include your brand name. The brief bit of text that shows up on a search engine like Google after your title tag. The meta description should be well written, as a good description will entice people to click on it. Note: Meta descriptions should be no more than 150 characters, about the length of a tweet. A brief and concise list of the most important themes of your page. Separate your keywords and keyword phrases with commas. Your keywords matter but don’t get spammy with them or stuff your pages with them. Because then they don’t matter anymore (and search engines know better). Keep it to 10 keyword phrases or less. And be sure these phrases appear in your content. 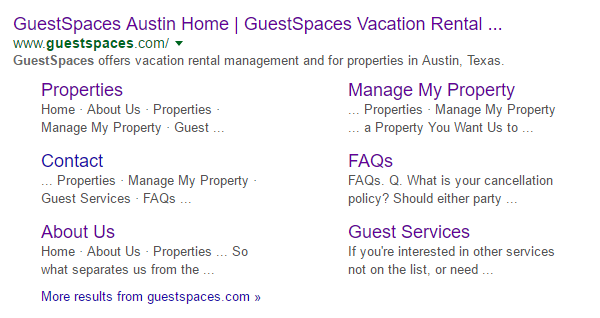 The most important thing to know about SEO for your vacation rental business is to think of your guests and ask the following question: What would guests search? Sometimes business owners who are new to SEO use keywords that are too vague. You’re better off optimizing your site with “Vacation Rentals in Naples Florida” than “Rentals,” “Vacation Rentals,” or “Naples Florida” on their own. Consider for a second what Google would think if it sees the keyword phrase “Naples Florida”. Most likely it will be the wrong things: a Naples FL wikipedia page, some directions to Naples, Naples restaurants, Naples real estate, and golf courses in Naples. In other words, it’s necessary to optimize your vacation rental sites for Googlers looking for lodging. More specifically — your lodging! Potential guests search differently depending on where they plan to go. Some of the best engineers have monitored this search data and have made it available to you to leverage for your own business. Let’s talk about ways to research. Your Meta Title and Meta Description can be optimized on each page of your website. SEO projects can get really complex. But if you start with the basics you can research your keywords and implement your strategy, sometimes with powerful results. Who could be more helpful in teaching you about searches than Google? Sign up to use Google Keyword Planner. (It’s free to sign up.) It works like this: you plug in the phrases you think would be good for your website, and then Google gives you a whole matrix of ideas for keywords you may never have thought of before. The planner gives you detailed data about hundreds of phrases and their search history. Plus they can give you crazy accurate forecasts about how people will search in the future. Hunt for keywords that have high search-volume, but low competition. Once again, when you want to see what’s working with your SEO efforts, go straight to the source. An analytics program will give you the most useful information about where web traffic is coming from, how many people are browsing your site, useful demographic data, and tracking your conversions. AND it’s easily integrated into your OneRooftop site. Moz is like the best friend who quietly lets you know when you have lettuce stuck between your teeth. While this is a paid service, vacation rental businesses get exact tips for improving your SEO that are specific to your website and your business competition. If you’re serious about improving your ranking in the search engine result pages, you’ll want to know the difficulty of your upcoming project. The Keyword Explorer tool developed by Moz analyzes data from the internet to help inform your vacation rental business’ SEO decisions. The tool analyzes search volume, keyword difficulty, marketing opportunity, and the potential for success. It is a sweet, sweet machine! As always, OneRooftop is here to help you power your business. Our team of experts would love to help you learn more about marketing your vacation rental website. Give us a shout on Twitter and Facebook!